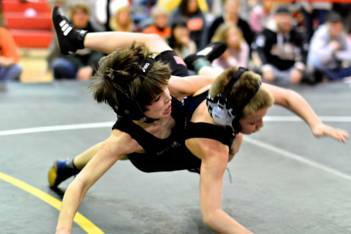 Our spring season runs April-June and focuses on freestyle and Greco-Roman wrestling. This program has grown every year both for our club and throughout the state, as tournament attendance has noticeably soared in recent years. 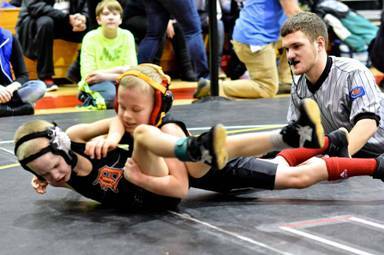 Our wrestlers who participate in the spring season benefit from learning different types of moves, many of which translate well into folkstyle wrestling. These wrestlers also stay in shape and get additional mat time and matches. It's like squeezing in two years of wrestling in one year. This year, we will offer freestyle instruction on Monday and Thursday nights begginning April 4th from 5:30-7pm. The program will be for wrestlers in grades 2-8. The program will be led by , Steve Zimmerman and Ryan Farwell. A USA Wrestling card is required. A list of freestyle and Greco tournaments is maintained by Illinois-USA Wrestling at www.ilusaw.com. In the off-season (summer), there are still opportunities to get some mat time, including camps, open mats, and tournaments. A comprehensive list of off-season camps and tournaments is maintained by Force Wrestling at www.forcewrestling.com. Bulldog Wrestling Camp will be June 12th-15th, 2018 Monday-Friday each day in the BHS Wrestling Room. For 1st and 2nd year wrestlers 10-11am. For 3 yrs + , times are 11:15 am-1:15 pm sessions M-F. The camp is open to incoming 2nd graders and older. Younger kids are welcome to attend with wrestling partners -- please make sure someone in the club will be attending who can wrestle with your younger child! The fee will be $60 for the younger kids 1st session, second session for 3+yrs experience $90.